These pretty pumpkins are super fast, easy to make and relatively inexpensive. I got everything I needed, except the pumpkins, at Michaels. The gourds I picked up from the grocery store. The whole project cost $41 and took about two hours to complete. 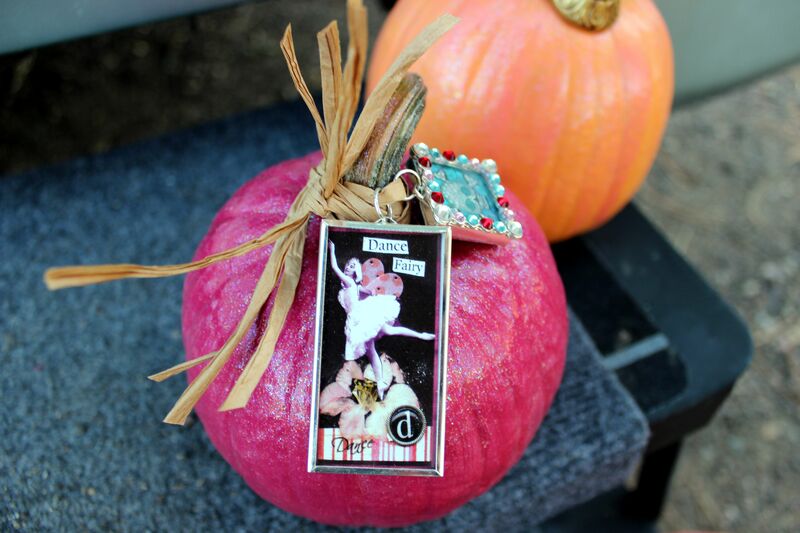 When the season is over, pull off the charms, before tossing the pumpkins, and use them for another project. It’s important to use real pumpkins because of the weight. 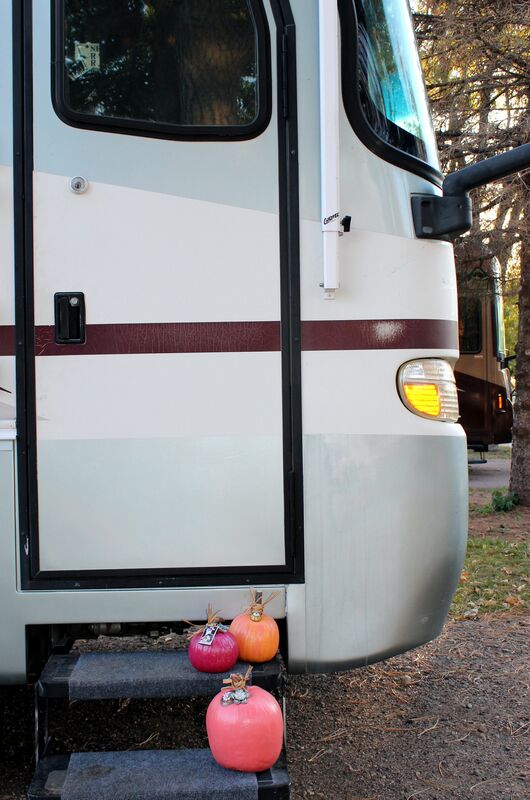 Their heaviness makes sure they’ll stay put on the RV steps or on the picnic table at your campsite. Any charms that strike your fancy will work. Or, go with a spooky motif to customize your display for Halloween. Brush any dirt or debris off pumpkins. 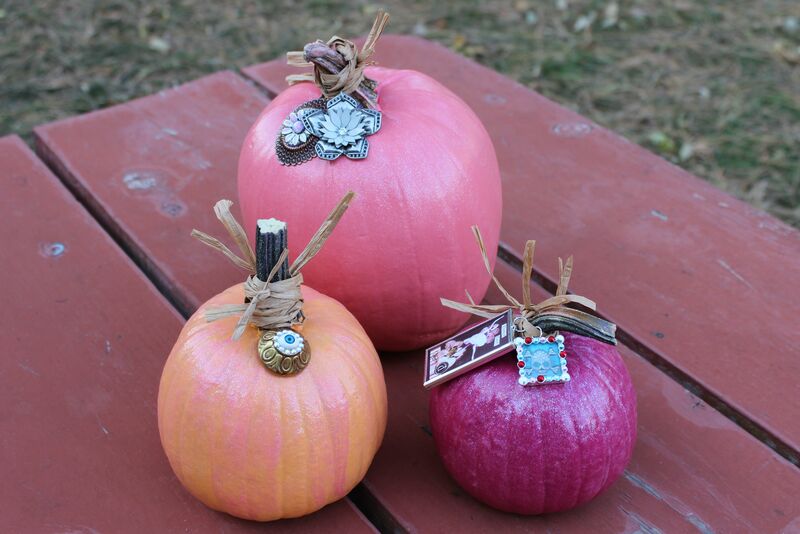 Paint each pumpkin in a different shade. Let dry and paint with a second coat. Let dry and apply with glitter finish. Let dry and apply a second coat of glitter finish. Tie charms around stem of pumpkins using raffia gift ties.